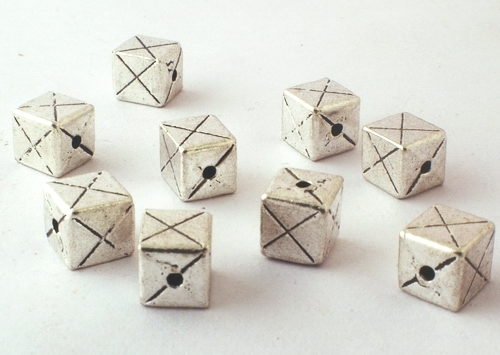 Sorry, we are currently sold out of '20 Large Silver Domino Cube Spacer Beads - 6mm'. Please check back later. Price is per 20 of these beautiful 6mm silver spacers - hole about 0.75mm. Chinese silver: not solid 925!